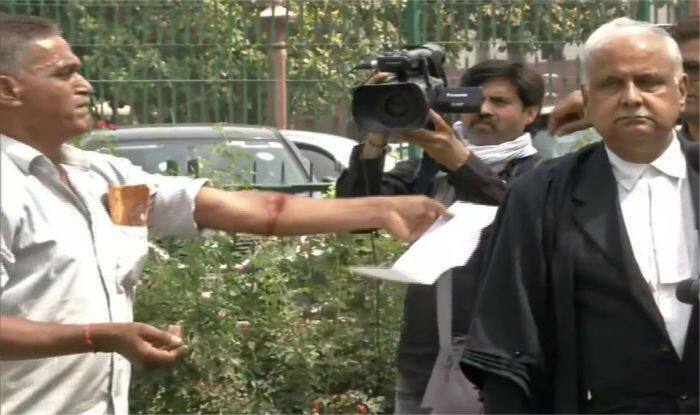 A man in Delhi slit his hand in the premises of the Supreme Court. He has reportedly been rushed to the hospital. New Delhi: A man on Friday slit his hand in the premises of Supreme Court. The reason behind the man resorting to the extreme step is unknown. In the images shared by news agency ANI, the elderly man can be seen taken away by a group of men. He has reportedly been rushed to the hospital for treatment.